At least 25 Central American migrants and refugees died and dozens more were injured on Thursday after the truck they were travelling in overturned in southern Mexico, according to authorities. The Chiapas state prosecutor’s office said in a statement late on Thursday that 29 others were injured in the accident. It appears the driver lost control of the truck near the town of Francisco Sarabia in the municipality of Soyalo. The injured were transported to hospitals. Authorities did not provide the nationalities of the victims, and say the investigation continues. Chiapas is the main entry point for Central American migrants arriving in Mexico from Guatemala. 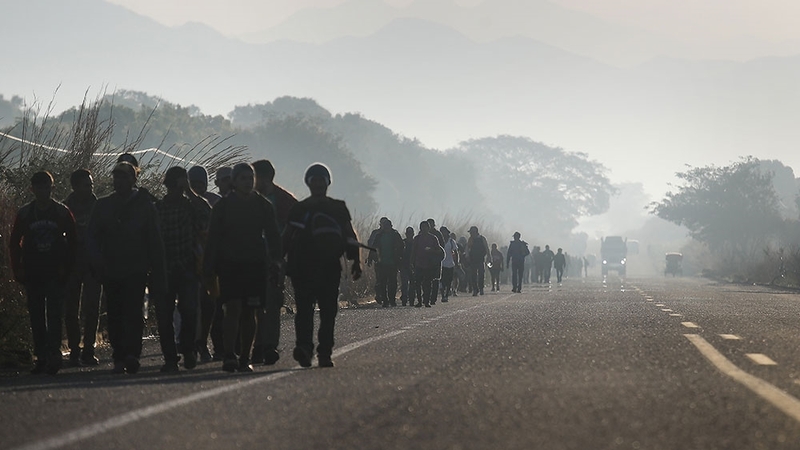 Every year, thousands of Central Americans, mainly from Honduras, El Salvador and Guatemala, attempt dangerous trips through Mexico trying to reach the United States or attempting to find opportunities for work in Mexico. Many travel in group caravans for safety, while others hire human traffickers who put them in overcrowded trucks with often unsanitary conditions. Central Americans have told Al Jazeera they are fleeing poverty, violence and political persecution.